When your company is referred to as the “Uber for cleaning,” expectations are naturally high. 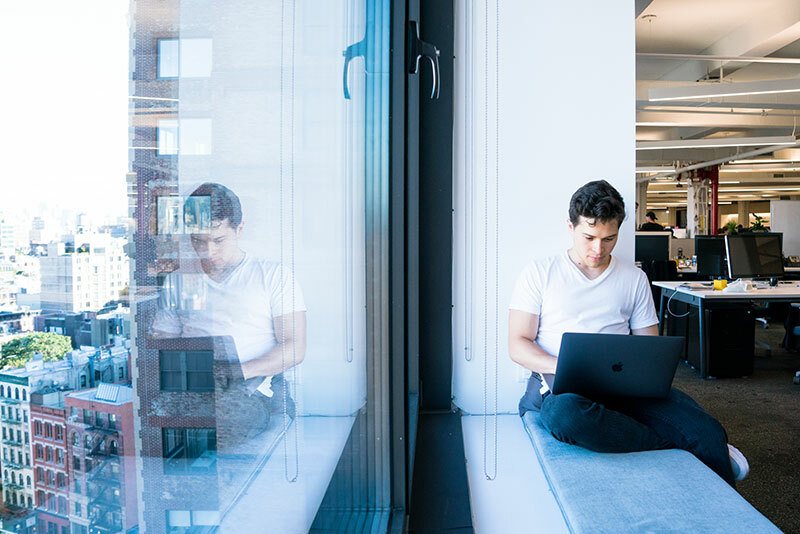 NYC-based startup Managed by Q received that label since launching 3 years ago as an office cleaning and maintenance company, and since, they’ve quietly and steadily grown, fueled in part by a design-forward approach that lives within the company’s DNA. Unlike others in the office services industry, Managed by Q employs its cleaning and maintenance providers and offers benefits. Now available in New York, San Francisco, Los Angeles, Oakland, Silicon Valley, and Chicago, the Q marketplace allows clients to find, schedule, and manage a range of office management services. We spoke with JT White, Director of Design at Managed by Q, about how he and his team tackle the complex challenges of designing a marketplace for customers and service providers alike, and how design lives at the core of the company. How’d you get your start at Q? I’ve been here for about 2 years, and started out as one of the first product designers, working by myself for a while. As we’ve grown, I’ve been building the team out around me. What’s your team look like? The team structure is pretty flat. 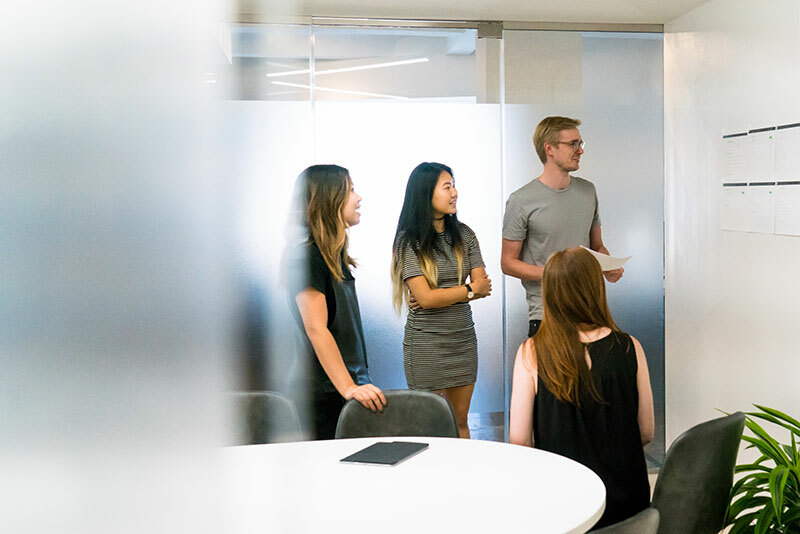 Our designers are embedded in larger product teams that own different properties and parts of the experience, and as the director, I manage them as a group. Our business has a lot of operational dependencies, so it takes a lot of guidance to get a product built because of the number of people—customers and service providers—impacted by it. 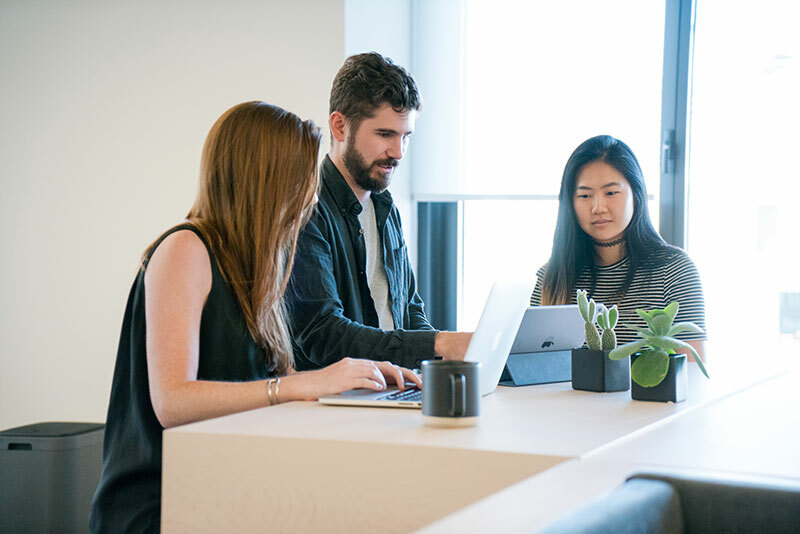 One of the biggest responsibilities of the design team here is to articulate our future as a company and show that future visually—we need to facilitate that conversation to get everyone on the same page. Using InVision has been one of the primary ways we’ve articulated our future as a company. People from every part of the organization can understand what we’re building a lot better when you have a visual artifact to put in front of them. One of our investors is Google Ventures, so we’ve run design sprints with them and from there have refined our own internal process from the design sprint norm to something a bit more light weight. They’re basically mini-sprints. At startups you often don’t have the resources to pull 5+ people out of their day-to-day work for an entire week. So in between big sprints we’ll run shortened versions, usually between 2-3 a month. Daniel Burka from GV has started calling these abbreviated versions “high school lab” sprints. We actually follow the same process for a normal sprint—we map out a problem, talk to experts, sketch out solutions, create a testable hypothesis and prototype, and conduct customer interviews. The main difference is that a single designer drives the sprint and reaches out to stakeholders/teammates/customers when necessary. 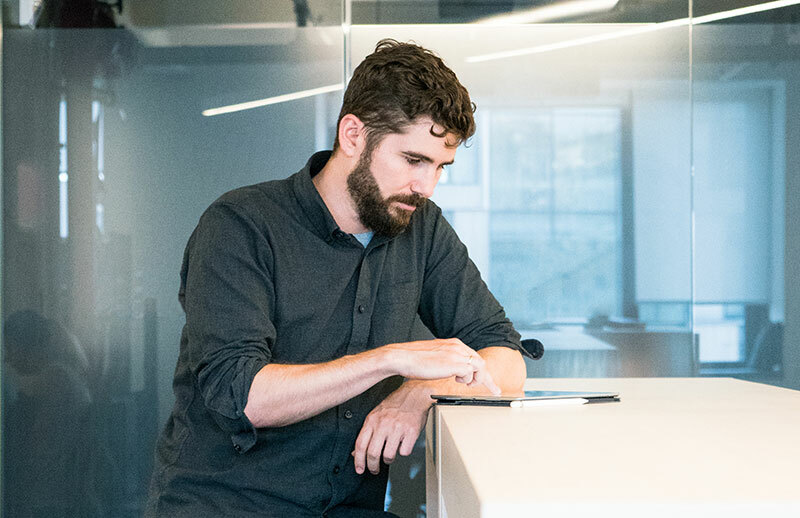 InVision has been our lifeblood for those sprints; it’s so easily to prototype quickly and get something in high fidelity, and then get it in front of a customer for testing literally within a few hours. The feedback loop is just incredibly quick, and since I had been using it before I joined the team, and other designers we already familiar with it, we just naturally have been using it since the beginning. What have you learned since starting as a team of one and growing from there? One principle we have internalized over the years is how important the customer is. We’re constantly talking our clients, and doing a tremendous amount of user research. That has created a lot of empathy within the team. There are so many things about our customers’ behavior that we just don’t know, so to design without getting constant input from our users is kind of like driving without headlights—you can do it, but you’re more likely to crash. User research is a great way to inform ourselves to make the best product decisions. A trap that product teams can fall into is making most product decisions through internal discussions, which has a couple of drawbacks. First, you can spend a tremendous amount of time debating, which can be extremely slow if your team is larger than a couple people. Second, there’s the possibility that the person with the loudest voice in the room (but not necessarily the best idea) will have the most influence. And finally, it’s easy to end up with Frankenstein designs by trying to please everyone who is part of the conversation. User research cuts through all this noise and BS. If a customer doesn’t like something, don’t ship it. We’ve set up a process where we always have around 5-10 user research interviews scheduled for the week. We loosely plan out which teams are going to conduct the interview beforehand, whether it’s design or product. This enables us to constantly show users our prototypes, collect feedback, and integrate it directly into our next iteration. It can be a little intense, but our learning cycles are extremely short, which allows us to move really fast. How do you balance that with the needs of your service providers? We definitely get into situations where the needs of those 2 groups—customers and service providers—are at odds with one another. We’ve created an internal framework to navigate through those tough situations to help guide our decisions. Because we started out offering services provided only by our own staff, we have always had conversations with our provider stakeholders. They are the ones out in the field making it all happen. Our service providers, who we call “partners,” aren’t a separate group; they are our colleagues. If we build something that makes their lives unpleasant, we can’t hide from that conversation. When we think about designing products that have an impact on people’s lives, we try our best to make sure our products serve all of our users, not the other way around. For example, we built a dispatching system that allows our cleaners and handymen to pick up work as they want, but created indicators for our internal teams that manage these service sessions to see how many hours people are working. This enables us to ensure no one is working more than 8 hours of manual labor a day. How to manage communicating with so many stakeholders? We use InVision not just for design, but as a communication tool. We realized very quickly that because we’re moving so fast and have such a complex business, it’s important that the company as a whole is aligned in that future we are moving toward. At an all-hands meeting recently, I presented an InVision prototype of the future of our marketplace. I looked back on that prototype and for the most part, we’ve built out virtually that entire experience, which is really cool to see. How does Q’s leadership view design? Design is incredibly important at Q. Our CEO was a product designer, prior to founding Q, so it’s part of our DNA. From the very beginning, our hypothesis for this market was that if we created better jobs and a better experience not just for customers but for providers, we’d have a competitive advantage. Our north star here is research and feedback from users. We aim to create an incredibly tight loop of prototype, feedback, and iteration in the shortest period of time. So thinking about that, about every user, has always been a big part of the company’s culture. Not everyone who works at Q is a designer, but across the board, as a company, everyone cares about design. I would communicate 3 things to designers just starting out in their careers. The first is to evaluate the company or client needs before you start designing. Really spend time thinking about the most valuable outcome you could drive as a designer. I see many designers fall into the trap of not understanding actual needs before jumping into designing a deep library of micro-interactions or deciding they need to create a custom typeface. While the most valuable work you can do as a designer sometimes will be exciting visual work, using design as a tool to learn super fast and validate hypotheses will often be the most valuable thing you can do. You should constantly think about how you can provide the most value to your organization/client. My second piece of advice is to read as much as you can. There’s a lot of great content on the internet, but I’d also make sure you’re digging into books, which allow you to go deep on a particular subject. I’d also suggest reading books outside of the design category. I’ve often found the most relevant lessons for my work and career within books on business, management, music, surfing, etc. I recently read L.L. Bean: The Making of an American Icon, an account of the company written by former CEO Leon Gorman. The book digs into the struggle L.L. Bean went through to remain true to their core brand while experiencing significant growth over 30 years. I took away some great lessons on brand stewardship, something very relevant to any design team working at fast growing startups. The last piece of advice is the easiest. If you want to improve quickly and gain a lot of experience, work really hard. Not everyone is okay with long hours, and that’s totally fine, but I can guarantee any new designer that if they’re the first in the office and last out, they will see a lot of improvement. The great thing about this is that you have complete control over your effort.